Anchorage Resort, part of the Heritage Collection, is a beautiful complex located right on the shores of New Zealand's largest body of water, Lake Taupo. We offer self-contained, serviced, motel accommodation on the edge of Lake Taupo. With a range of modern and well-equipped studios and 1, 2 & 3 bedroom apartments - all with complimentary WiFi, free parking, and air conditioning, some with underfloor heating. Our outdoor pool area has heated pools and a large spa, we also have an indoor spa and sauna. 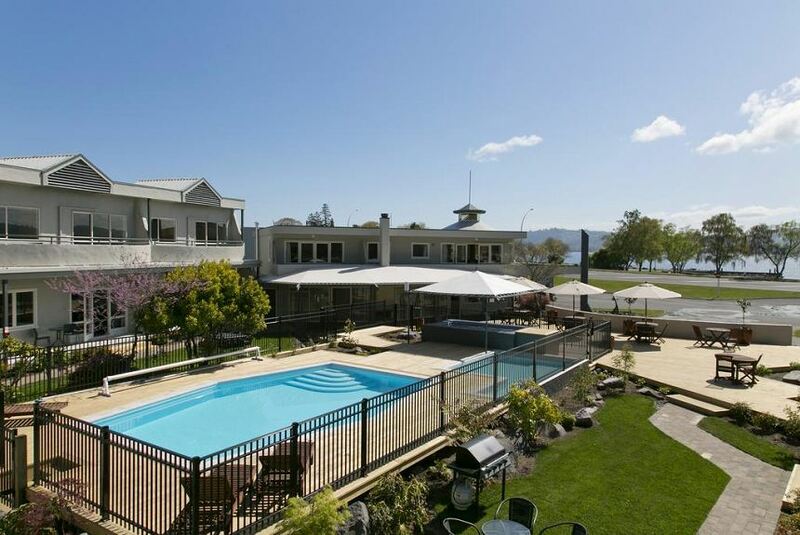 We are the ideal Taupo accommodation option for couples, families, groups and corporates on business travel. Anchorage Resort is a great base to stay and explore all the Taupo region has to offer, and has hosts that ensure they go the extra mile to guarantee you the get most out of your stay.